The Boston Marathon 2016. First Thoughts. 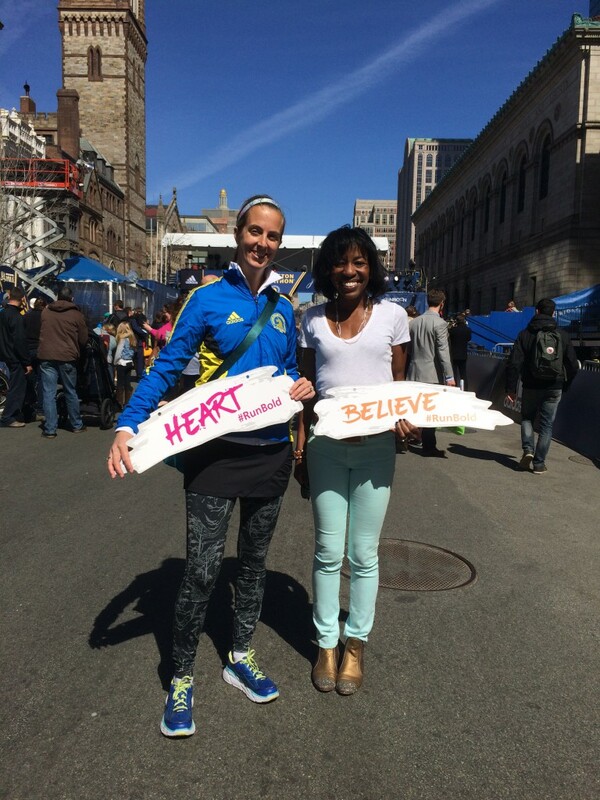 My third Boston Marathon experience was exactly what I needed. I finally feel like I got a piece of myself back on Monday when I ran the Boston Marathon this year. Perhaps when I ran in 2014 I wasn’t really ready to actually RACE it again. I knew that I needed to go back and run again in 2014 to show myself that I could run and finish and be safe. It w as a part of my journey of emotional healing after 2013 but I never should have put pressure on myself to actually be going for time that year. 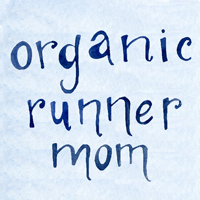 I finished in 2014 but I missed my qualifying time and felt defeated and emotionally lost. The happiness that running and racing brought me was still missing. I felt broken. 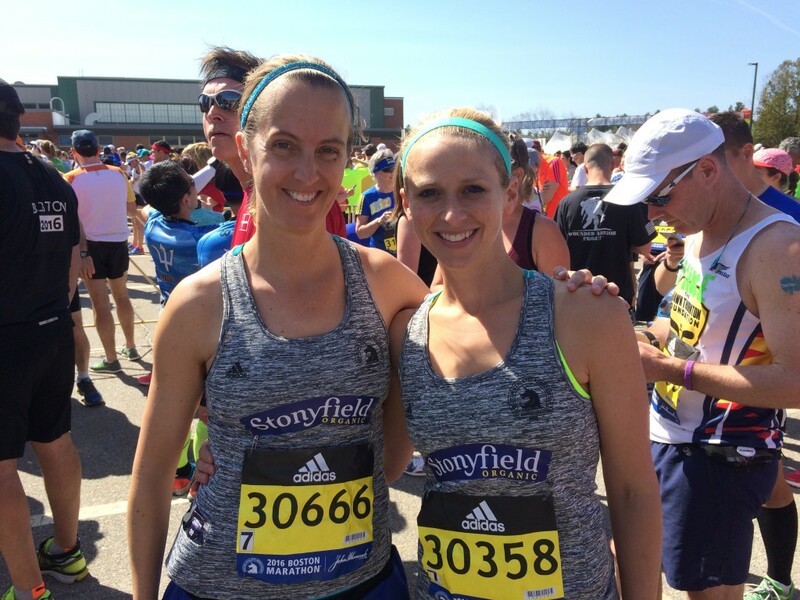 This year I trained for the Boston Marathon race that I knew I could run. I felt like Stonyfield had given me a gift to be able to be a part of Team Stonyfield and to go back and run again. I trained on my own as hard as I could and with all my heart. I ran when my body was tired and I pushed through runs and workouts that I hated and that were absolutely dreadful. I ran alone to work through my emotions and the mental tough parts that I let defeat me in 2014. This year not only was I physically stronger but mentally I felt strength, and courage and I also felt like over the past year I had rediscovered the joy of running and racing again. I knew that the race would be tough but I also new that I wanted to run it and to experience the BOSTON Spirit. This year I also have been working hard on rediscovering a positive mindset and filling my life with positive experiences and spending time with people who inspire me, who challenge me, and who laugh with me until our bellies hurt. I shared my Boston weekend with my family but also with two close and inspiring runner friends who have helped me to feel positive again. They are strong women who raise their kids with love and laughter and passion, who share their intense drive and also their tough moments with others helping us all to grow and to be inspired through their writing . They are two strong females who have surprised me with immediate friendship and kindness and laughter that has lifted me up. Thank you Sarah (My Team Stonyfield Teammate and fellow New Hampshire runner) and Natalie for sharing your Boston with me. 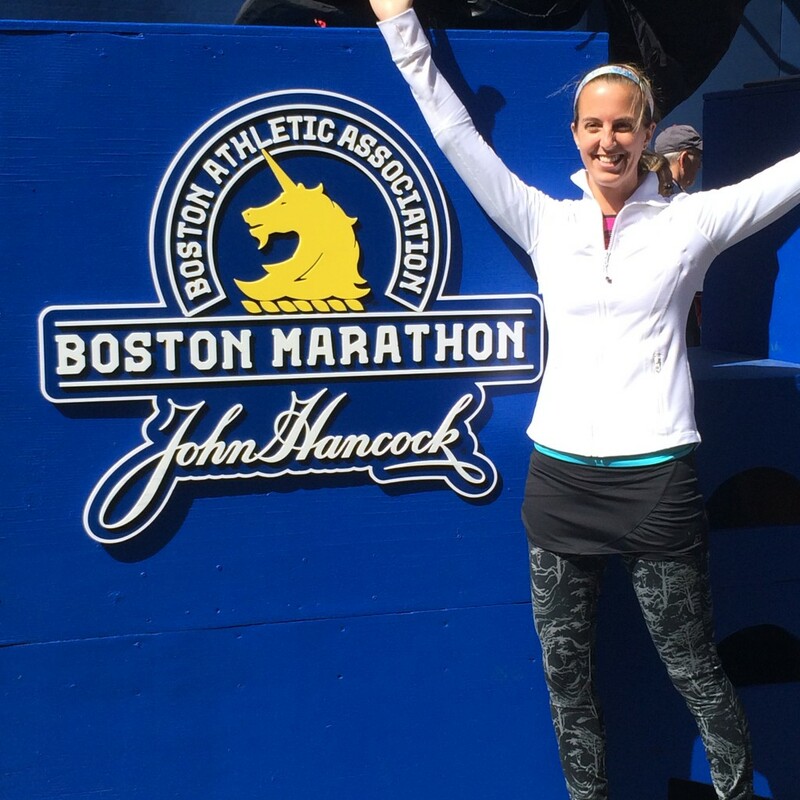 The Boston this weekend is a jumble of wild emotions that I am still processing in a good way and there is so much more to share including my race recap of some of the toughest miles I have run. I earned every step of the marathon this year. It was very much about what happened during the race but also everything leading up to the race. I hope you will stick with me and head on back as I detail my Boston Marathon. Did you or have you raced the Boston Marathon? Share your greatest memory. If not I’d love to hear your best race memory from any race. Oh friend. I was so moved by this post. You are right, you put your heart and soul into training and I know you put it all out there on Monday. I am SO happy for you – you rocked it and you should be so proud!! The magic of Boston…and Nat and Sarah…that is what it is ALL about. Love this and so proud of you! Allie recently posted…Waterproof iPod and Headphones Giveaway! You had an amazing race! I’m so glad it was a fantastic experience for you. Can’t wait to hear more details! I ran this year for the first time and I’m still trying to process all of my thoughts and emotions. Congratulations on an amazing race!! I’m so proud and excited for you! I can’t imagine what it must have been like in 2013 and what it must have taken to get back to that starting line, but you are such an inspiration for doing so. I can’t wait for the full recap! what an amazing experience! I didn’t get to run into you this weekend (but did meet Natalie!!) but congratulations and thanks for sharing your journey 🙂 so excited for you. I’m really looking forward to your recap. I’m so glad this race was everything you wanted it to be! We should all be so lucky to have a race like that.